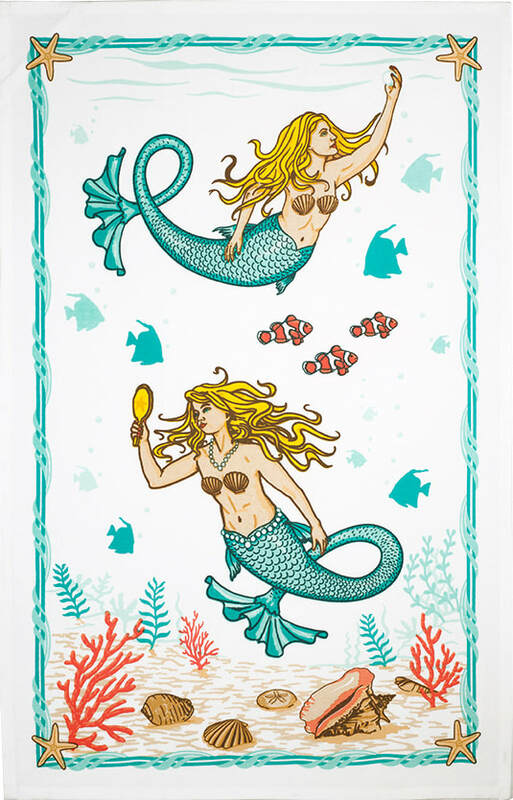 Inspired by the ocean and designed in a Victorian sea captain's house on the coast of Maine! 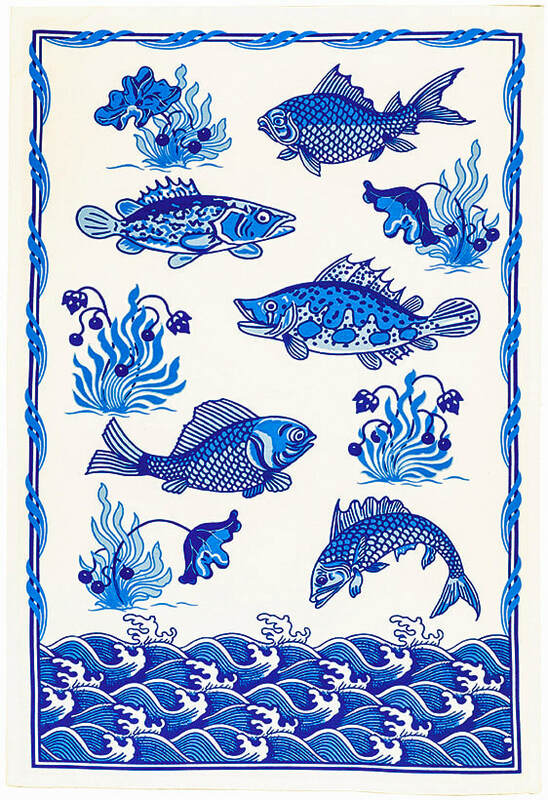 These 100% cotton and hand-printed kitchen towels, designed by founder Angela Smith's family at the Studios of Harry W. Smith in Midcoast Maine will add beauty, color and ocean inspiration to your home! We are a seafaring, ocean loving, artistic family and each design has a true meaning back to eras and times spent on the water, by the beach, overlooking a rocky coastline or sailing a tropical sea. 100% of the proceeds benefit Shark Team One programs thanks to kind donations by Studios of Harry W. Smith© and Paine Products! USPS first class shipping to continental USA included. Inquire about pricing for other shipping options and international shipping. 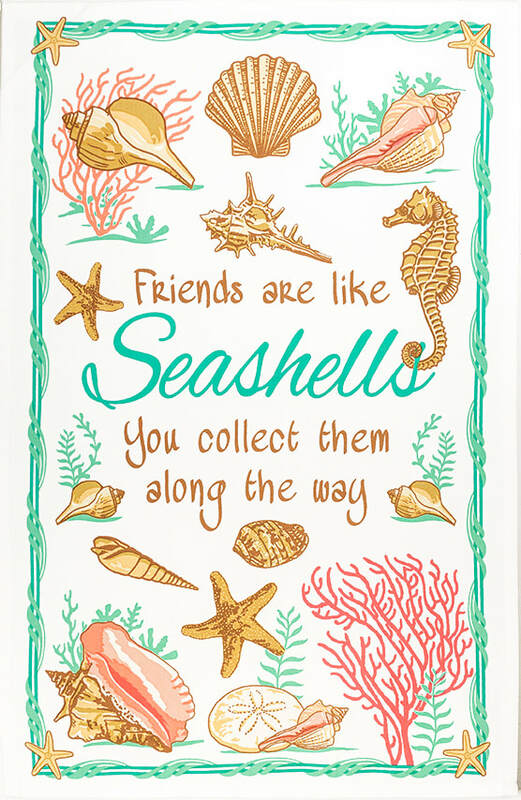 Bring our family art and the ocean lifestyle into your home today! 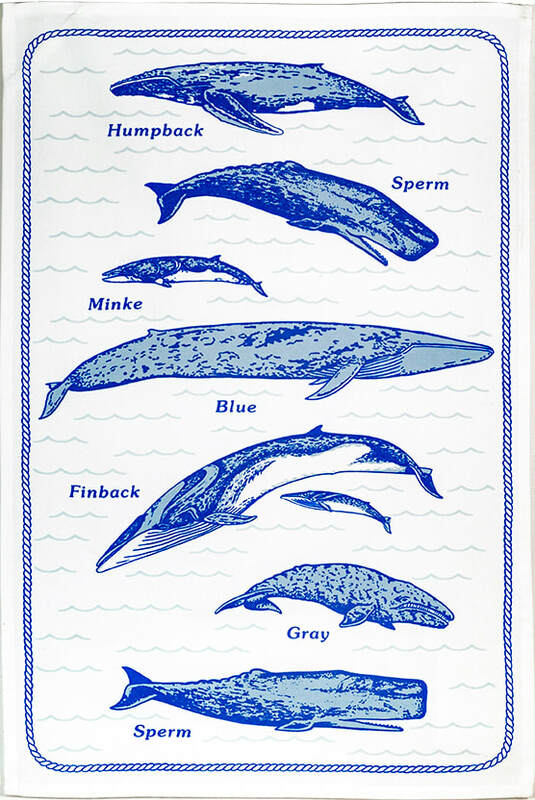 Our sperm whale expeditions come to mind with this beautiful ecology based towel. How many of these whales have you seen in the wild? Beautiful, intelligent and endangered, bring these stately and elegant cetaceans into your kitchen to show your love for the sea. Know as you gaze at this beautiful art towel that you helped save real endangered whales. 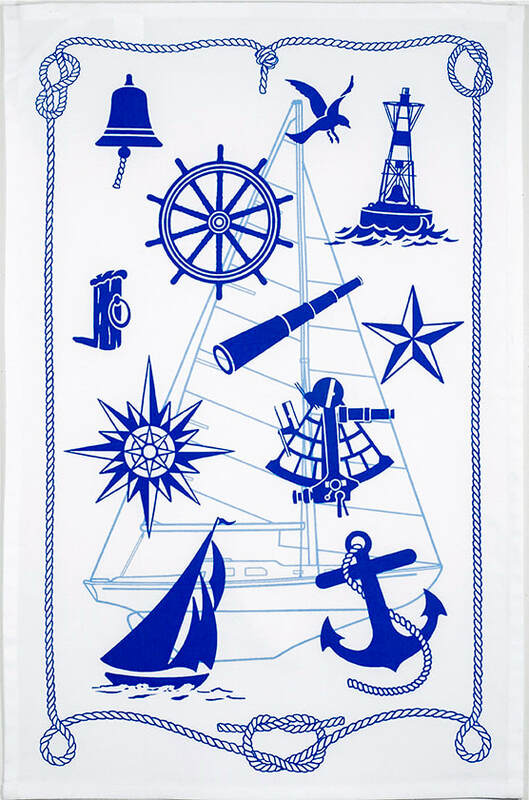 This hand-printed towel is made of 100% cotton with beautiful original artwork designed by Studios of Harry W. Smith. It measures 17" X 27" and is sure to be a conversation piece at your next dinner party!